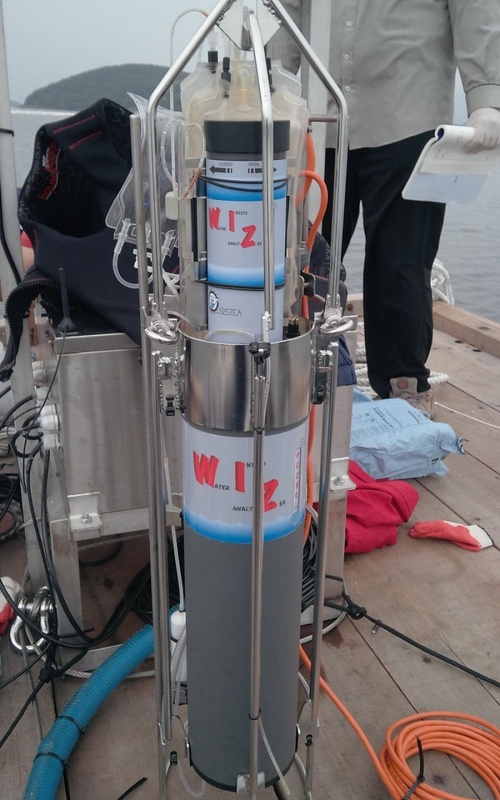 WIZ probe is the state of the art portable “in-situ” probe, to measure automatically up to four chemical compounds in surface and sea water. The innovative design allows an easy handling and field deployment by a single user. WIZ probe automatically manages the well known spectrophotometric wet chemistries and an advanced fluorimetric method for ammonia measurement. Many other analytical methods are available on request, including silicates, Total P, Total N, iron and other metals. the new innovative “plug-in” and compact reagents container allows an immediate field reagents and calibration solutions changeover. Results are directly provided in concentration units; all measured values are stored with date, time and sample O.D. ; the same data are remotely available through a serial communication port, which allows the complete probe configuration and remote control using the external Windows® based Wiz Control Panel software. Reagents and calibrants flexible bags are placed inside the “plug-in” compact reagents container. The bags are connected to the internal analytical reactor with an enhanced version of our exclusive fast hydraulic 10 lines multiconnector*, ensuring quick replacement in the field. 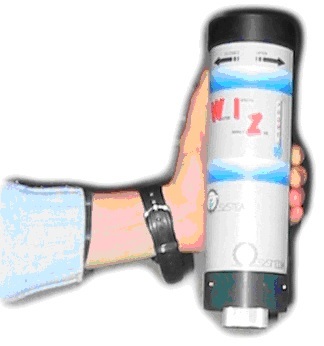 Reagents consumption is limited to about 30-60 microliters of each reagent per single analysis; the reagents container is designed to contain up to 500 ml of reagents and calibrant solution, to ensure at least 1000 automatic field analysis. Auto-calibration is performed using concentrated standard solutions, contained in the same reagents container.